"Hellenic Cosmos", the Cultural Center of the Foundation of the Hellenic World, is an ultra-modern Cultural Center that stands out for its innovative programs and the use of high-tech for educational purposes. It is situated on a former industrial zone on Pireos Street, an actual axis between Athens and Piraeus, where memory of Athens past meets the city's modern identity. The amazing church of Agia Sophia comes to life, right before your eyes, on a digital journey back in time at the Hellenic Cosmos Cultural Center. You no longer have to travel to Constantinople to see up close the spectacular Orthodox Christian Church of Agia Sophia. For now, the wonder of Byzantium has opened its digital doors, revealing its historic secrets in the new interactive production "Agia Sophia: 1,500 Years of History" at the Tholos virtual reality theater of the Hellenic Cosmos Cultural Center. See the design of the Greek geometers Isidore of Miletus and Anthemius of Tralles, see the church's magnificent mosaics, the marks left by the crusades, and the crowning of Michael VIII Palaiologos as emperor. And not simply as observers, but as participants in a number of scenarios and tours. Marvel at this emblematic edifice at a time when it was at the height of its fame and glory, when it was the spiritual and political symbol of the Byzantine Empire, and experience its monumental interior on a memorable 45-minute visit. 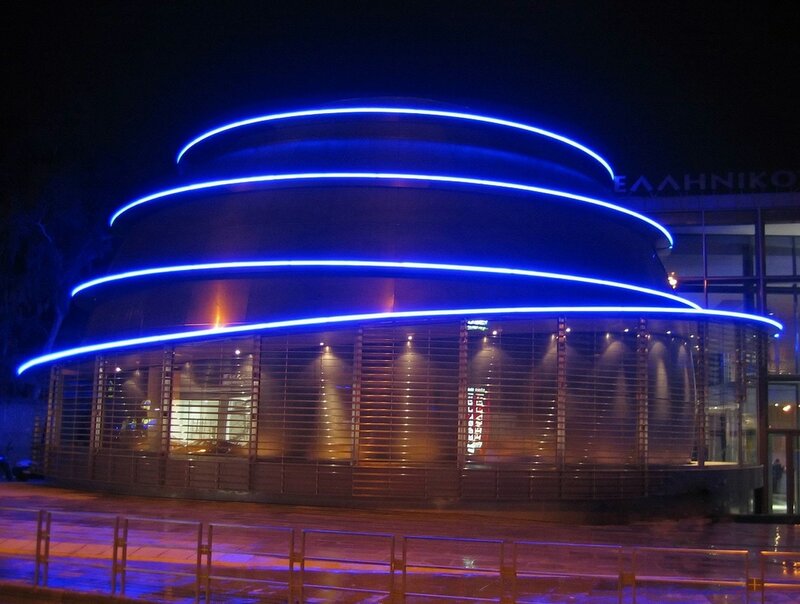 Exterior night view of the "Tholos" virtual reality theater of the Hellenic Cosmos Cultural Center. 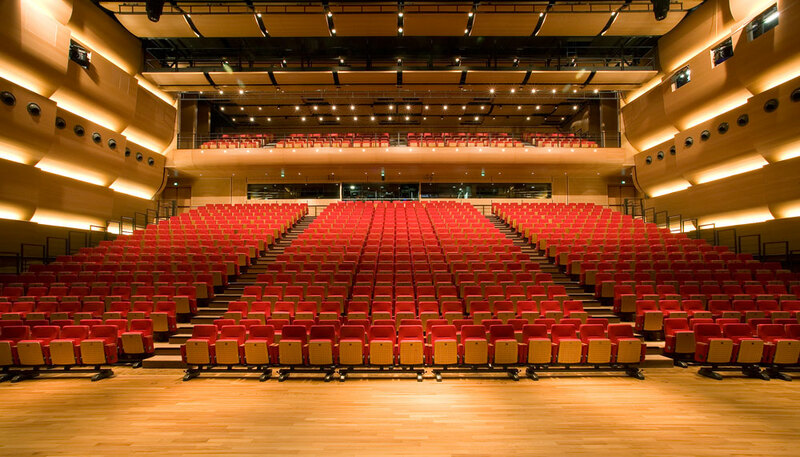 "Theatron", the state-of-the-art theater of Hellenic Cosmos Cultural Center. Among the hundreds of noteworthy programs and exhibitions at the Hellenic Cosmos Cultural Center, we would like to mention the "Summer in the City" program, meant to function as a summer camp in the city. 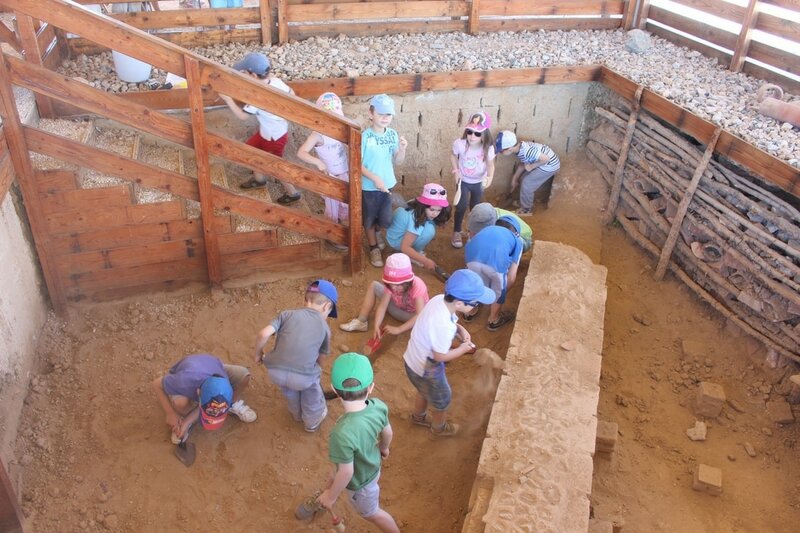 Part of this wonderful program is a hands-on introduction to the excavation and archaeological research for children, in a simple, yet ever so realistic and educational setting within the grounds of the Hellenic Cosmos. The archaeological excavation process educational program within the "Summer in the City" camp at Hellenic Cosmos.